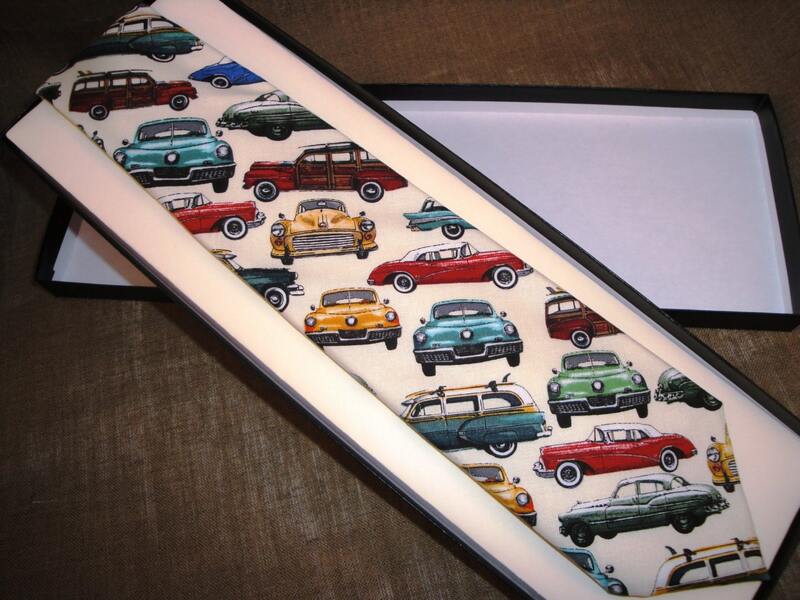 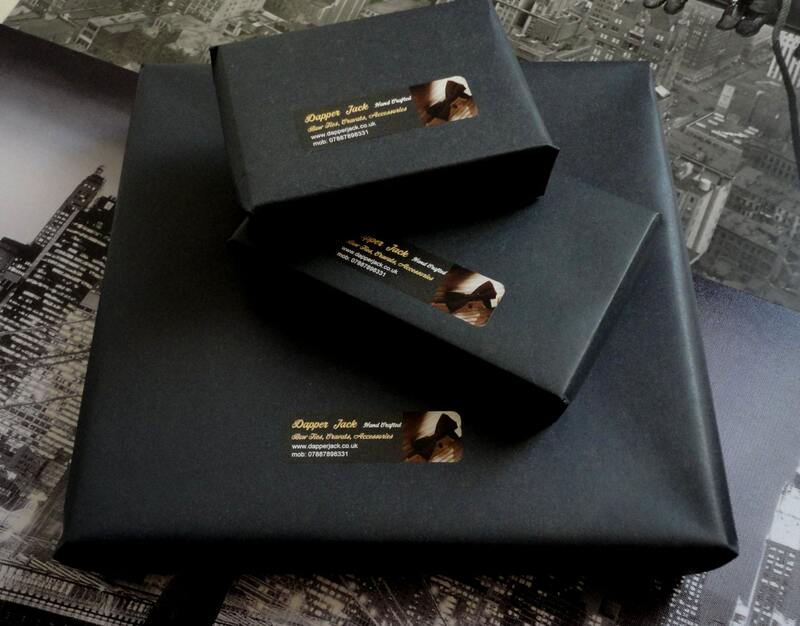 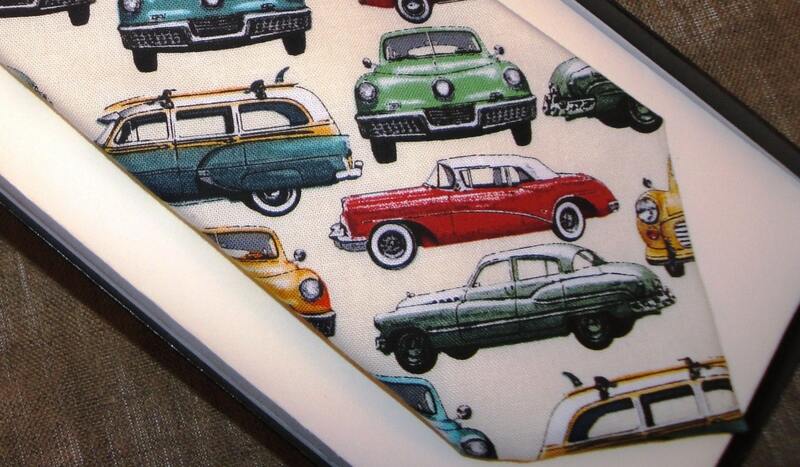 Beautifully made standard width neck tie in a classic car print for the car enthusiast, delivered in a gift box. 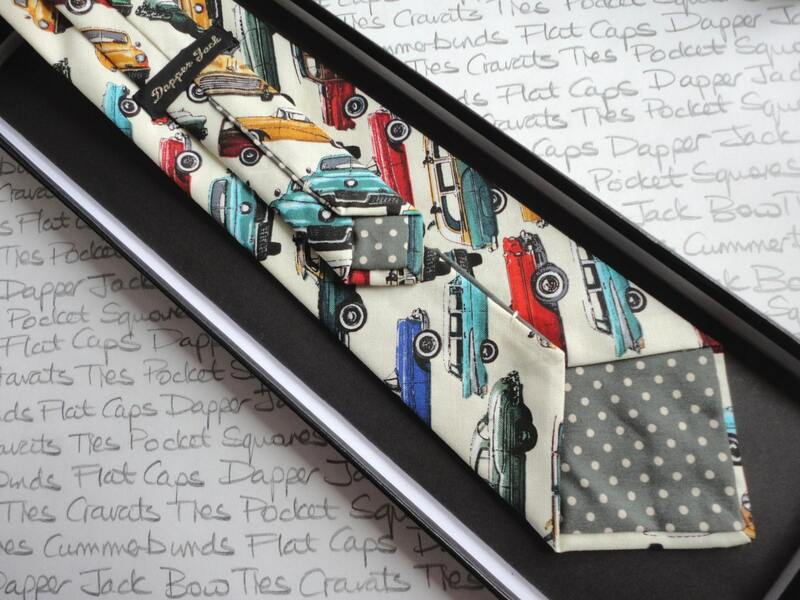 Slim ties measure approximately 56 inches in length and 2.5 inches in width at the widest point. 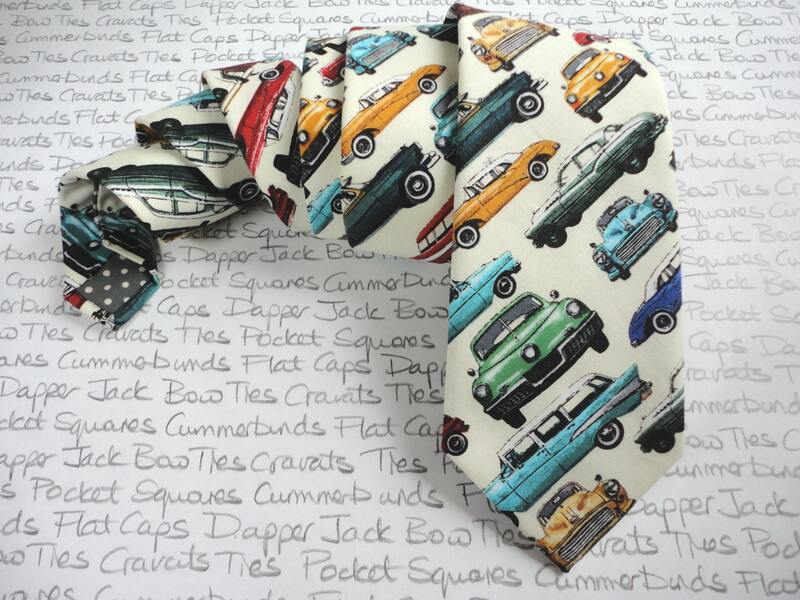 Skinny ties measure approximately 56 inches in length and 2 inches in width at the widest point.